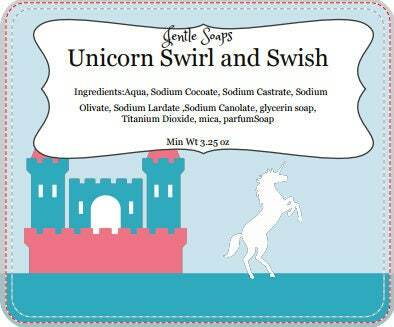 Unicorn Swirl and Swish Soap was inspired by many unicorn cakes and cupcakes as well as a fellow soap maker. This little gold horned, pink eared swirled sweetie is a beautiful example of the whimsey that soap crafting can express. 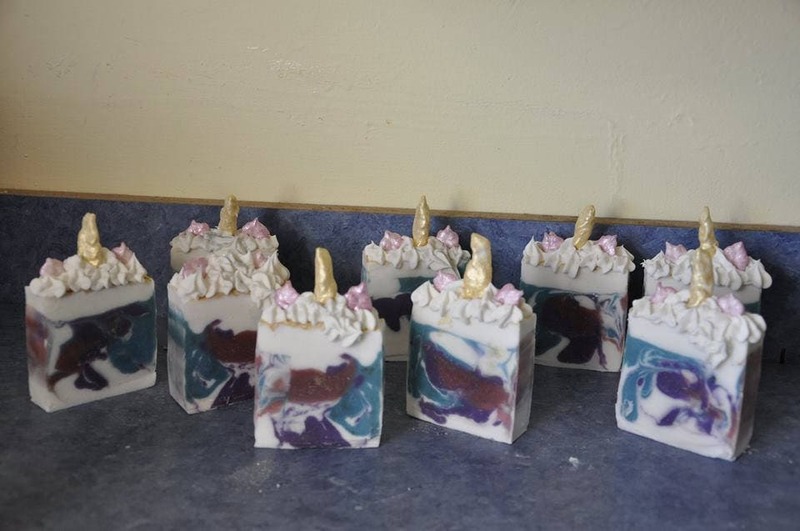 This unicorn soap even has a Mane down the back of his bar. I cut these larger so they would be sturdy for shipping. Scented with a fragrance with notes of berries and melon it is sure to please the senses of those who like it fruity. 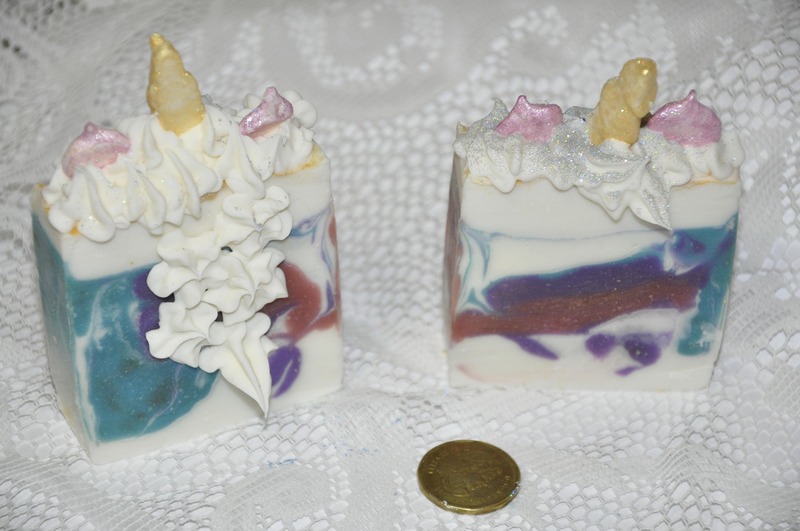 These are a limited edition artisan soap so get them while you can.